Please feel free to create an online account with us. With "My Account" you can check out faster, save multiple shipping addresses, access your order history, track new orders and save items to your wish list. If you choose not to create an account, we do require an email address at checkout. Please provide a valid address so if there is a problem with your order, we can contact you more quickly. With a valid email address, you will receive notifications when your package has been shipped and tracking information. We will never sell your email address or use it for any purpose other than to communicate with you regarding your order. If you are uncertain if a part is the correct one for your application, we will be happy to verify it for you. 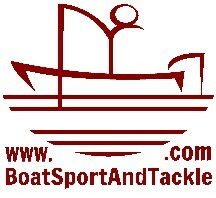 Simply contact us at doug@boatsportandtackle.com with your engine information (Make, Model, HP and Year). We can also be reached at 1-317-520-2628 - please leave a message and we will get back with you. We are adding new items to our online store weekly. If a part is showing as available, we have it in stock. If you are looking for an item and cannot locate it, please contact us. We probably have the item and will get it listed for you right away. Your privacy and financial security is important to us. We do not store or house any financial information. We use PayPal as our payment processor and all information is kept by them on their secure servers.